In the first quarter of 2016 the Ukrainian airlines’ cumulative traffic grew 11.3% YOY to 1.258 million passengers, against 1.130 million for the same period last year. The data published by the Ukrainian State Aviation Service shows that the international traffic grew 8.6% to 1.101 million passengers, whereas domestic traffic grew 34.7% to 156,500 passengers against 116,200 passengers in Q1 2015. Eight Ukrainian carriers operated international flights to 58 destinations in 34 countries in the first quarter of this year. At the same time, 25 international carriers from 23 countries operated flights to Ukraine, serving 48 destinations. 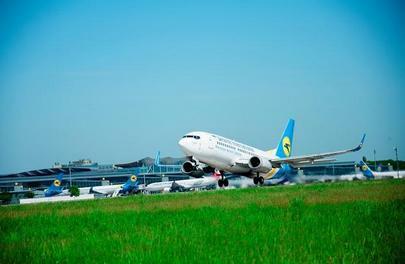 Three carriers operated flights within Ukraine, serving 11 routes connecting eight cities. The Ukrainian carriers cumulatively operated 14,700 flights, up 4.3% from the same time last year. YanAir demonstrated the most impressive growth rates. It reported a 12.9-time increase in traffic numbers, without citing the actual number of passengers it served. The Ukrainian flagship carrier, Ukraine International Airlines, reported 32.2% growth. Azur Air Ukraine and UM Air traffic increased 25.1% and 22.2%, respectively. Cargo volumes carried by Ukrainian airlines also increased by 9.5% to 18,500 tons, against 16,900 tons last year. Sixteen carriers were engaged in transporting cargo and mail, mostly on charter flights. Eighteen Ukrainian airports served 25,300 aircraft movements, which is 3.1% less than in the previous year. However, their traffic increased 9% and reached 2.178 million passengers, while their cargo traffic grew 18.9% to 8,800 tons. Ukraine’s largest airport, Kyiv’s Boryspil, reported traffic growth of 12.2%; Zaporozhye grew 3.3 times, Kherson -69.5%, Kharkiv – 68%, Ivano-Frankivsk – 59.1%, and Lviv – 11.8%. At the same time, several airports, including Kyiv’s Zhulyany and airports in Dnepropetrovsk and Odessa, lost some traffic: 27.7%, 8.8% and 1.3%, respectively. At the end of 2015 Ukrainian airlines’ cumulative traffic decreased 3% YOY.